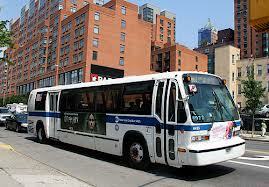 Brooklyn Bus Routes Making a Comeback! Not just ‘babes’ but anyone else who has been missing several key bus routes which were cut during the lean years beginning in 2010, can now rejoice in their imminent return and restoration. Seven bus lines in the borough are slated for resurrection, announced the Metropolitan Transportation Authority, and some new routes are going to be created in Northern Brooklyn and Downtown, in addition. Beginning as of January 6 commuters were able to partake in “one-seat service” from the IKEA in Bushwick on the B57; more convenient rides between Bay Ridge and the “People’s Playground” on the B64; and a re-established connection between Prospect Park and Downtown on the B48. • B4- Full-time service is coming back; for those interested in traveling between Bay Ridge and Sheepshead Bay, this is great news. • B39- Coming back is the daytime route of the run between Williamsburg and Manhattan. • B24- On the weekend this line will take you from Williamsburg to Queens and back. • B69- Have something to do in Kensington over the weekend? This route between Downtown and the hottest neighborhood in Brooklyn is coming back! So what happened? Did the MTA get some moolah from a long lost cousin? Nah. MTA officials say that they have been saving money through cost-cutting and passenger fares. “[The service increases] are paid for with increased revenue generated by additional ridership on the MTA system, as well as savings from the MTA’s continued rigorous efforts to contain costs,” a press release issued last summer said.